for $519,000 with 2 bedrooms and 1 full bath, 1 three quarter bath. 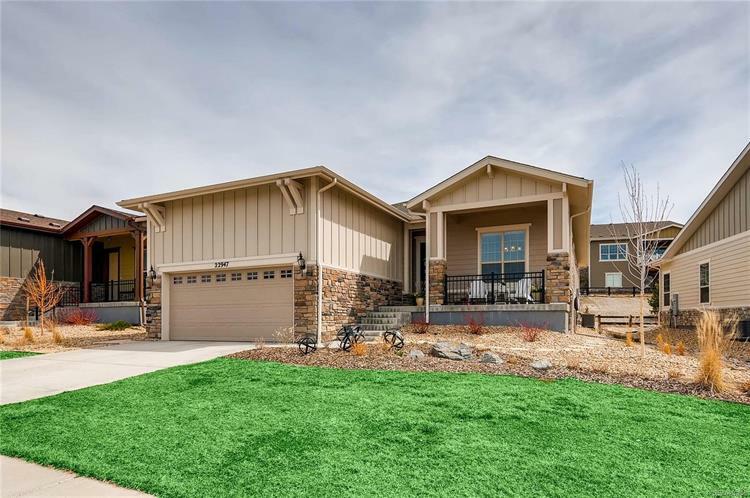 This 2,429 square foot home was built in 2016 on a lot size of 0.14 Acre(s). Enjoy resort-style amenities in this gorgeous, nearly-new Toll Brothers home at Inspiration! Beautiful 'Carson' model ranch with 2 bedrooms, 2 bath plus study (or formal dining room) and 10' ceilings on main floor. Huge windows shine natural light into every room. Master suite has bay window, walk-in closet, and beautiful bath with dual vanity. Covered back patio plus flagstone extension looks out onto greenbelt. Unfinished basement offers tons of storage or room to build. Don't wait for new construction '“ move right in to this active adult community! Enjoy upgrades throughout, including granite, custom tile, gas cooktop, and pantry. Pet-free and smoke-free. Clubhouse features a Cafe, Fitness Center, Library, Banquet Room, Outdoor Pool, Hot Tub & Courts for Tennis, Bocce & Pickleball and a variety of social clubs. Close to Heritage Eagle Bend Golf Club, Saddle Rock Golf Course, Southlands shopping and restaurants, C-470, Aurora Reservoir and such more. Welcome Home!